Verdun: The Longest Battle of the Great War is one of the flood of new works coming out about World War I this year in commemoration of the 100th anniversary of the outbreak of the world’s first truly mechanized war. This book explores the ten month (or eleven, depending on how you count it) battle of Verdun between the Germans and French from February to November 1916. It consists of eleven chapters arranged thematically that examine different aspects of the battle from the operational movements of the forces involved to the way the battle was described in the contemporary press to the role of the battle in modern memory. There is an extensive appendix on sources, a 29 page list of endnotes and a 20 page bibliography. Verdun: The Longest Battle of the Great War is not a battle history in the traditional sense of the word. here is no bow by blow account of the opening days of the battle and the fall of the french forts at Vaux and Duouamont and the subsequent French recapture of much of the contested ground over the course of the battle. The book is both more and less than battle history at the same time. it examines the battle and the role it played in the course of the war from many angles both military and civilian. 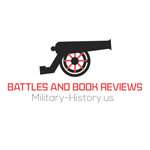 I found the chapters discussing the views of the battle by the French and German commands especially revealing. The standard account is that the Germans intended all along for Verdun to be a battle of attrition and that the French chose to fight so hard there as a matter of honor. That myth is exploded in these two chapters and the way in which the battle became a matter of prestige and developed a logic of it’s own is explored in detail. Given the level of casualties on both sides that the battle evolved into one of prestige makes sense. Even more revealing is the discussion of the various ways in which the battle was portrayed by the media. A good picture of the way in which the media can sway public opinion and force policy decisions is described in the media portrayals of the Battle at Verdun. The last part of the book that examines the way the memory of the battle has been shaped and its amazing transformation from a symbol of french determination to a landmark of multiculturalism and a monument to the futility of war is revealing in the extreme. Verdun: The Longest Battle of the Great War is well-written and logically presented and while it is not traditional battle history it is rewarding to read nonetheless. Verdun was one of the greatest blood-lettings of World War I, though not the greatest as it has been said, that was the opening months of the war. It is time for an objective re-examination of this supposedly pivotal battle that in the end achieved nothing of strategic significance, unless you think killing off a large cohort of enemy troops is strategic results. I highly recommend this book to anyone interested in World War I and even more to people who want to understand how the perceptions of wars and battles are shaped more by those who were not there than than by those who were.